China's biggest train maker, China South Locomotive & Rolling Stock Corp Ltd (CSR), will set up its Australian regional headquarters in Melbourne, said Victoria Premier Ted Baillieu, in a statement on the state's website. The headquarters, with an initial investment of $5 million and 20 employees, will open later this year and serve as CSR's latest bid to bring China's railway systems to Australia, which wants to expand its railway network. "Importantly, securing the China South Rail's regional headquarters strengthens Victoria's reputation as a hub for transport and logistics industries," Baillieu said in the statement. "As Australia's fastest-growing city, and with a highly skilled work force, Melbourne is the perfect location for CSR to base its Australian operations." CSR's plan follows an Australia government announcement in August that it plans to invest up to A$108 billion ($106 billion) to build 1,600 kilometers of high-speed rail links in its eastern states. 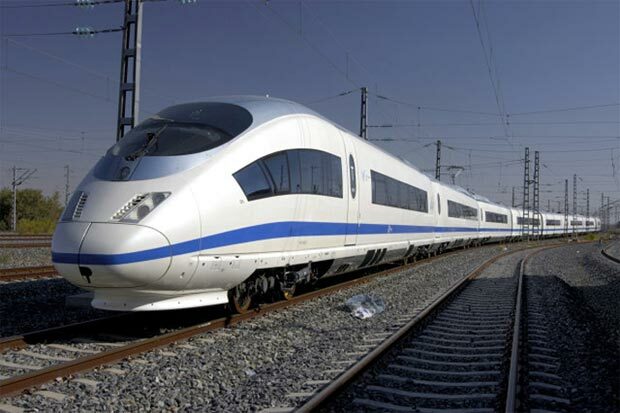 The national government said that by 2036 the rail link would be capable of carrying 54 million passengers a year at speeds reaching more than 320 kilometers an hour on a network connecting Brisbane, in rural Queensland, with Sydney and Melbourne farther south. Baillieu said CSR was in discussions about several tenders for rail projects at the national and state levels and would be expected to bid on others, but he offered no details. CSR did not answer phone calls for comment on Monday. CSR's participation in foreign high-speed railway projects is a sign of global confidence in China's high-speed rail technology. China wants to sell its high-speed rail technology internationally, but the safety of its high-speed rail was challenged by an accident in July, when one high-speed train rear-ended another near the city of Wenzhou, killing 40 people and injuring more than 190. Australia, which is trying to resolve a rail transport bottleneck in both passenger and freight transport, could be a major export destination for Chinese high-speed rail. In Australia's eastern states and capital territory, the population is expected to balloon to 28 million people by 2056, from 18 million people this year, according to government projections. That growth will require vast investments in transportation infrastructure. Meanwhile, more freight lines are needed to accommodate the country's mining boom, which is triggered by strong demand from emerging economies, especially China and India. Massive under-investment in port and rail infrastructure has made it difficult for the country's mining sector to meet demand. Last year, many mining companies, including Rio Tinto Plc, cut coal production due to bottlenecks in rail infrastructure and ports. In July, CSR delivered the first 188 coal hoppers to Pacific National Pty Ltd, the second-largest coal transporter in Australia, under a 728-hopper contract.